This past year has been more than just a journal. It has been an incredible and wonderful journey for me. The beauty and grace I have seen in these winged wonders filled me with awe, amazement and gratitude to the Creator of all. They made me laugh and smile. Along the way I learned new skills, become more familiar with my lens, made some mistakes, and gained valuable experience as an amateur bird photographer. I learned things about the bird life on the marsh that still amaze me. I want to thank you, my photo friends, for the words of encouragement you sent me from time to time. They are indeed treasured and inspire and encourage me to continue and improve. There is more I want to learn and share. However, I will be taking a needed break in January 2014 to pause, reflect, refresh and reload. Learning better photo editing skills with new software will be one of my first endeavors in the coming New Year (and catch up on some overdue Editor-do projects). I also wish to move “Beyond the Broward” to take some new journeys. Caregiver duties will keep me tethered close to home. Therefore I plan to continue my daily dock visits and photos and resume Reflections in February. Once a month I will try to journey to local rivers and lakes with my Kayak and share those moments with you with a special monthly Beyond the Broward edition. Old Man River, the Great Blue and largest of the Heron family on the river. Little Blue Heron, the smallest of the Blue Herons. White when born. Tricolored Heron, the mid sized blue and one of my most faithful feathered friends on the dock. George, the purveyor of fine crab delights! Great White Egret, the Bride of the Broward. Egrets are mainly white and are members of the Heron family. Snowy Egrets, smaller in size than the Great Egret, with black beak, yellow feet. Graceful yet comical clowns of the Broward. Reddish Egret, loves to dance in the surf. A White morph variant also occurs. 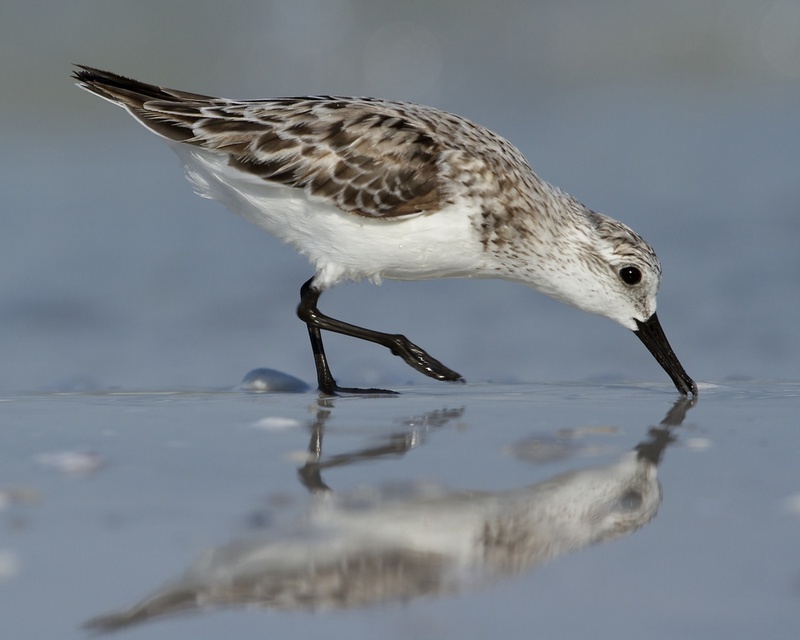 Sanderling, gives a wet kiss. Roseate Spoonbill viewed from a Kayak. Broken Feather, the Bald Eagle with fish catch. King of the raptors. American female Kestrel, a small falcon. Lift off from Cape Canaveral, Osprey takes flight. 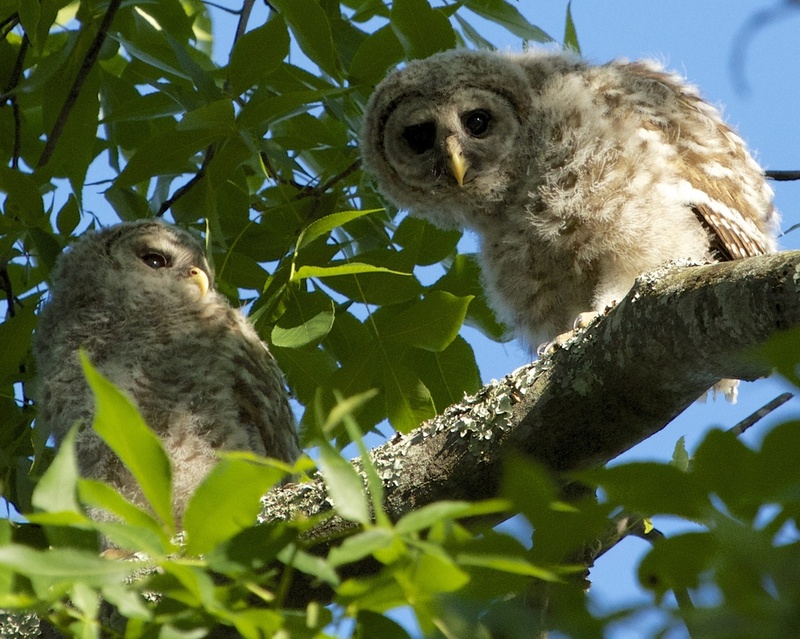 Fuzzy and Wuzzy, Barred owlet fledglings. Pied Billed Grebe with fish. They save the pretty ones for last. Wood Stork on a limb. Wishing you a Blessed and Happy New Year from Reflections on Broward! Twas the Week before Christmas..